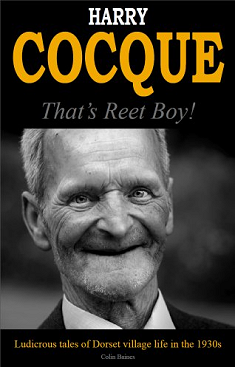 The Harry Cocque book: That's Reet Boy! With some of the funniest mishaps and outrageous double entendres to come out of Dorset, this book may well make you laugh out loud and will probably make you wish you’d been there to see it for yourself… at a safe distance. Fancy a quick peek? Well why not. Here’s a taster or two. Or three.